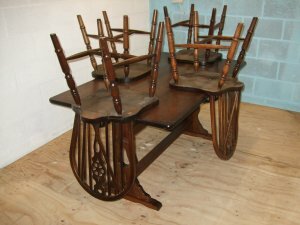 Solid, practical and in good condition, table 1.5 * 0.9 m dark mahogany colour. Will dismantle for transport. Chairs with simple decorative back support. NC.